And this is actually not all of it, just to help the volunteers and project members and booth staff. 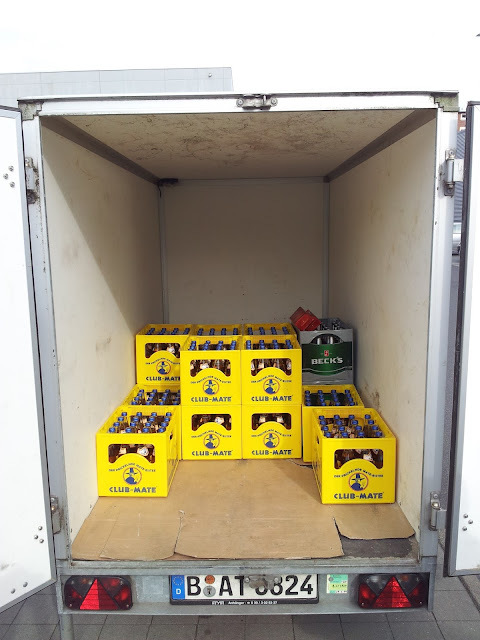 Besides lugging lots of boxes and crates I actually learned a lot about the LinuxTag today: It is all completely done by volunteers, most of whom actually take vacation days to organize the event! Until now I had a slightly different conception of a bat mobile, but, hey, this is even better! :) Thanks, Schlomo, for giving a hand and making LinuxTag an even better place.